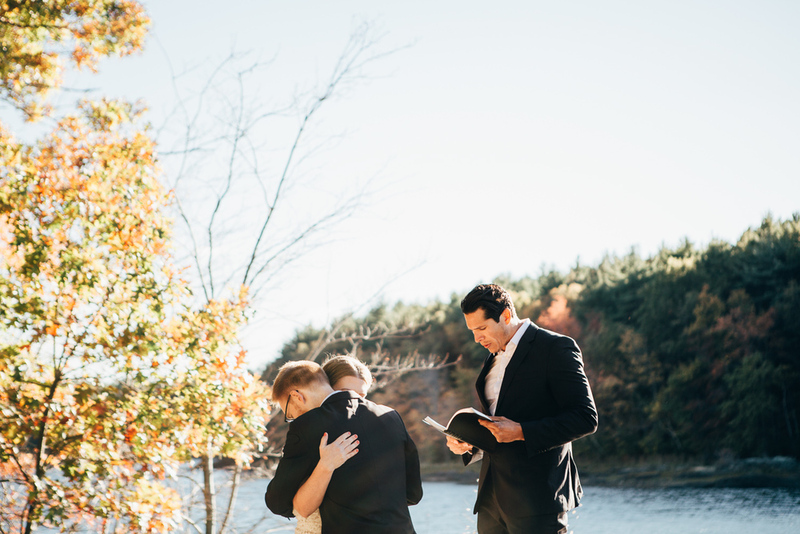 When I met with Sabrina and Paul at Reality Boston, I instantly fell in love. Maybe because Sabrina is a photographer and we had a quick connection, maybe because they perfected the twigsy elopement I have always dreamed of. Their day was small and intimate, just minutes outside of Boston, but far enough away from the loud rush of the city. As we walked through the woods with their closest friends, the trees towered above us drowning out anything besides the celebration and enhancing the crispness of autumn. They said their vows on a large rock overlooking the water and bright sun, and then we ventured through the woods until sunset. It was such a beautiful day!